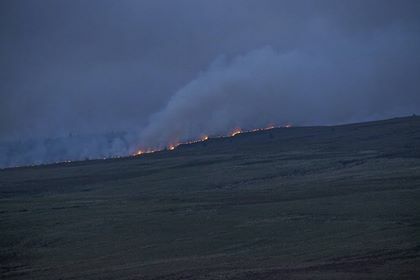 Laois and Offaly firefighters and helicopters tackled a fire in the Slieve Bloom Mountains on Wednesday evening and late into the night. It is understood the fire was burning most of the day and a number of roads have now been closed. 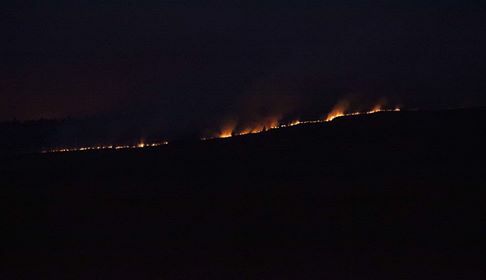 Laois County Fire and Rescue Service posted an update on Facebook after 10:00pm saying that crews were still battling the blaze. WATCH: Incredible aerial video shows true extent of fire in Slieve Blooms. 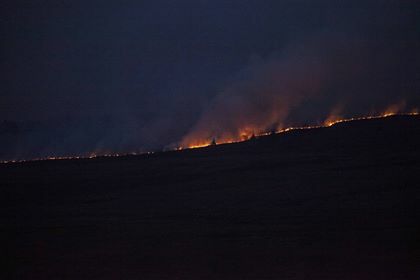 Pictures taken by Portlaoise photographer Gilly Guilfoyle show the extent of the fire later on in the night. The large fire lit up the skyline in the distance for many people with a view of the mountains. Thanks to Gilly Guilfoyle for sending the pictures to us.